A bold fluidity defines Eydo asymmetric dormeuse by Francesco Rota. Distinguished by an architectural style, it invites to relax as inferred from the name of Greek origin. 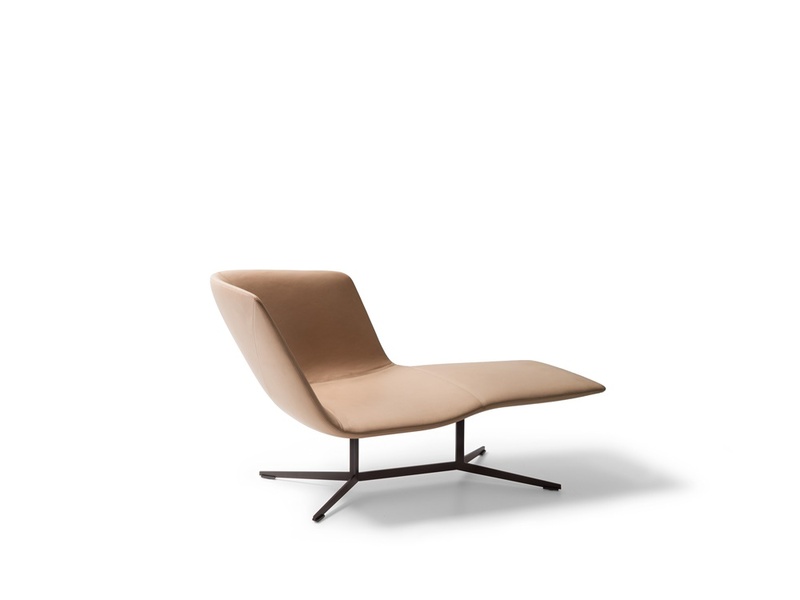 It consists of a suspended structure in metal laquered bronze and the unique seat and backrest volume that, despite recalling the lightness of a wing thanks to its reduced thickness, it envelopes and welcomes the body, offering great comfort. The stitching and leather upholstery embellish the design.